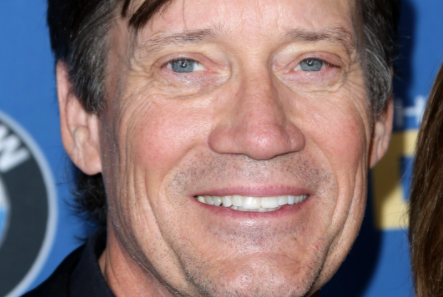 EXCLUSIVE: Kevin Sorbo has been set to star in One Nation Under God, a Suretone Pictures/Film Incito co-production directed by Lisa Arnold. Sorbo starred in God’s Not Dead, and this sounds very much in the same audience wheelhouse. Arnold wrote the family drama, which centers on a magnet high school where the words “under God” have been removed from the Pledge of Allegiance. When a defiant student questions the logic, the reverberations reach the presidential race, where a candidate gets involved in the issue. Sorbo will play the presidential candidate who deals with the repercussions of an argument that focuses on faith, free speech and First Amendment rights. Arnold most recently wrote and directed Camp Cool Kids and was co-producer on God’s Not Dead. Nick Thurlow, Jordan Schur and Jared Coates are producing, and Christian Briggs is exec producer. Production begins next month in Baton Rouge, with Suretone and its investors fully funding. They’ll sell rights after production is completed.